Quadrium is rated 4.0 out of 5 by 17. Rated 5 out of 5 by Bellamaris from SPECTACTULAR I have bought @ 500 games from Big Fish This is my Favorite. Also if you can induce the Dev.s of Wandering Willows to do a 2 I would deeply appreciate it. I will buy any further games that you produce like this. Rated 5 out of 5 by LouPerodi from Great, challenging marble pop game! Best thing about this game is that the more you play the hard it gets but you never get stuck! 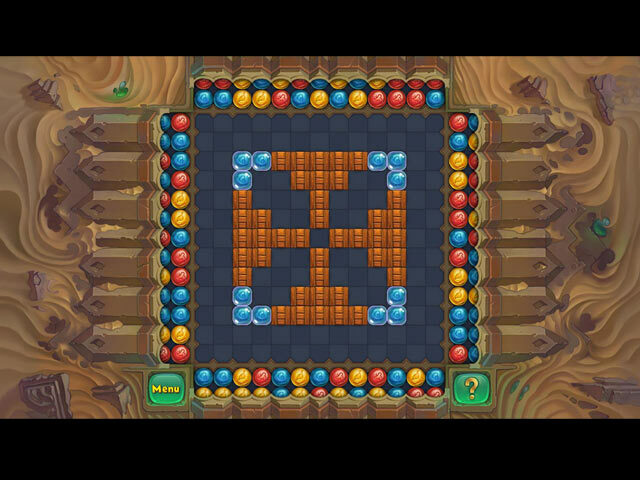 Rated 5 out of 5 by Susie_Q2 from Addictive Game Sounds real simple, match 2 balls of the same color. It can get real complicated unless I watch the whole board and plan ahead. As the game progresses the boards get very tricky. This is something my brain loves. BrickShooter Egypt was my all time favorites, still is, but Quadrium is less complicated not having to match 3 blocks. Between the two of them I am in heaven. 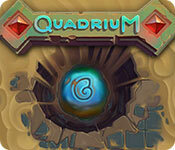 Play Quadrium you will like it... or it will frustrate the heck out of you and you will never play it again. Rated 5 out of 5 by MrsBen from NOW WE'RE TALKIN' :) I love this type of game!! The object and challenge of QUADRIUM is a lot like ARABESQUE and CLEAR IT and I really enjoy that! I've only just begun to play QUADRIUM, but love the graphics and the "mood music" in the background. Another game I can't quit playing. Keep 'em comin' devs and BF, keep your eyes peeled for more puzzle games!!! Gotta' start a load of laundry and then....back to the BFG pond for more fun!!! Right up my branch of the pond!! Rated 5 out of 5 by pennmom36 from IT'S LIKE CLEAR IT ON STEROIDS! Have you ever played the game Clear It! This is basically the same concept but amped up and incredibly addicting. I was having so much fun, I was utterly disappointed when the demo ended because as luck would have it, there's no SE sale today and I used up all my PCC's! 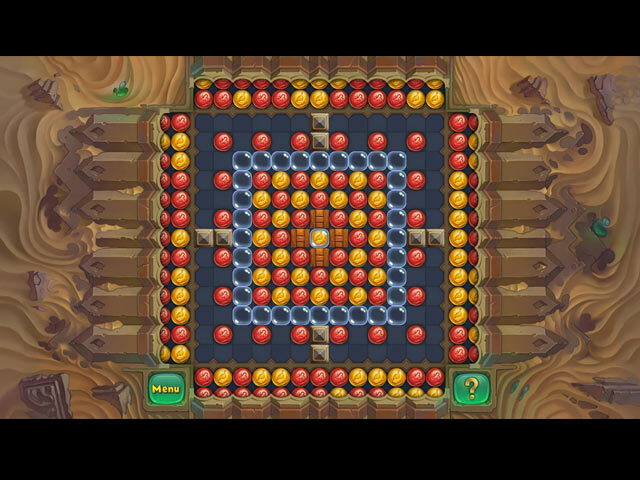 If you haven't played games like this, it's pretty simple, you shoot the colored orbs located along the parameters at the same colored orbs inside the playing field until all of them have been destroyed. 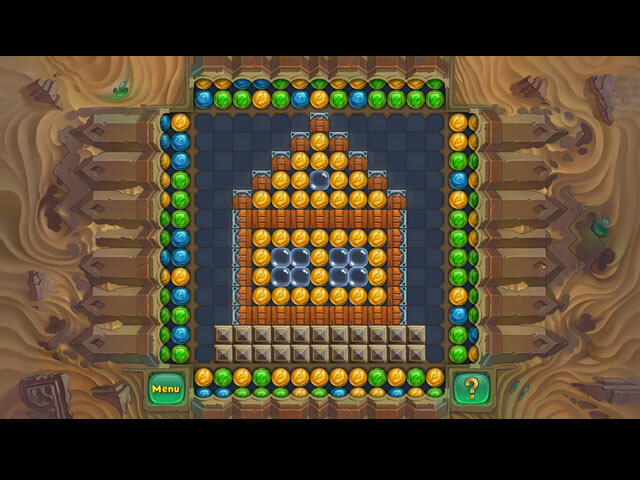 In the Clear It games, multi-colors aren't added as quickly as this and they don't have all the obstacles and bonus orbs like they do in this game. OBSTRUCTIONS *Locks-first match unlocks, the second match destroys. *Fog-matching nearby clears the fog patches. *Glass-direct blows to break the glass and expose orbs within. *Portals-orbs will portal to another area. *Arrows-redirects moving orbs. *Hand- stops moving orbs. *Wooden Crates-blocks tiles, direct hit destroys. *Armored Crates-must be hit on unprotected side. *Stone Walls-can only be destroyed with bonuses. BONUSES (tiles morph briefly) *Explosives-include in a match to detonate the bomb. *Rockets-hit with any tile to remove 3 random orbs. *Lightning-destroys all of the same color orbs when matched. ANTI-BONUSES (avoid!) *Orb Anti-Bonus-when hit by orb will add random orbs to field. *Lock Anti-Bonus-randomly places locks on orbs when hit. by FlashBurn Studios Quadrium, Legendary Slide I & II, Fishjong, Mahjong Legacy of the Toltecs. Rated 5 out of 5 by raydog from Terrific game! This game is on the line of the Clear It series but the graphics are better. Love the little power ups. It doesn't tell you much in the instructions but you get the hang of it when you activate that item that puts more balls on the grid. Avoid that guy! Rated 5 out of 5 by dachsy from Wonderful New Take On Match Three! If you are a Match 3 or Puzzle fan, don't pass this one up! You fire tiles from the edges of the grid in order to remove all the tiles on the grid, matching 2 or more tiles to do so. Various power ups assist you along the way. Instruction is minimal, but it's mostly self-evident if you are a seasoned Match 3 player. Graphics are top notch and game mechanics perfect. Can't comment on the sound, as I didn't have it on. All in all, a wonderful gaming experience, and a game I think all fans of the genre would like. Rated 4 out of 5 by SLVRFX101 from Finally A game with no story, or blood and gusts just playing a challenge get harder and fun, lets the mind work.